The unthinkable has happened! You knew they were cutting costs, sales projections were down, and second round funding didn't come through, but you didn't really expect it to come to this, did you? You're in good company - one of among the hundreds of thousands of workers throughout the United States who have recently received their proverbial "pink slip." A computer and printer. If you don't have them, borrow them. Contact management software or 5x7 index cards for tracking contact information. ACT is a very good software program to track all your contacts, notes, follow-up dates, etc. Subscription to your local Business Journal newspaper. Business cards with your name, contact information, and area of specialty (purchasing, manufacturing operations, mechanical engineering, etc.). Don't make the mistake of printing these on your home computer - it screams "cheap!" The usual pens, pencils, stapler, etc. Create a list with the contact information of everyone else who was laid off at the same time. Since these folks will be uncovering leads, it's smart to stay in touch with them so you can hear about the "hot prospects" and pursue their cast-offs. Certain members of this peer group may also be a good support network. Affiliate with those who are positive, organized, and taking action. You don't need to spend time with those who won't climb out of the misery pool. Make a list of all the people you know. It's a huge task, so break it down into categories: church, homeowners associations, professional associations, children's friend's parents, relatives, neighbors, etc. You should have at least 100 people on your list. Don't filter anyone out based on criteria like, they live out of state, or she's "just" a homemaker. Then go back through your list and highlight all the people who seem to know everyone. They are the 'connectors' of this world and they are the people you want to approach first. They are the ones who can refer you to others once they know what you need. Most viable leads come from the third level down. This is everyone's dream! Put in the time to take some personality and interest assessments to clarify your preferences. (There is no reason why you have to end up in yet another unrewarding job!) List all the reasons why you liked or disliked previous jobs and draw some correlations to your assessment results. Why do you enjoy this type of work? What surprised you the most about this field or industry? What do you wish you knew before you got into this line of work? What advice would you give to someone like me? What would force you to get out of this type of work? Where do you see the industry/career heading in the future? Don't waste any time on this one. Go to the library and look up the Directory of Associations. Find a few that fit with your industry or career, then connect with the local chapter and begin attending meetings. Volunteer to help out or get on the Board. The relationships you forge through this avenue will last a lifetime and the educational rewards are invaluable. You need someone who is on your side no matter what. It could be a spouse or a close friend and preferably is someone who has been through this process themselves. This person should be able to pep you up when you need it and talk to you straight when they see you goofing off. They should not place judgments on the type of work you are looking for unless they see you pursuing ads that promise: "Work from home and make $100,000!" You should check in with this person at least twice a week to report on your progress and brainstorm new strategies. They should ask for quantifiable numbers to assess your effort and results. For example: "How many networking meetings did you have this week?" The worst thing you can do is sit at your desk in "Mission Central" researching on the computer all day! Often, people prefer to hide out for a while, rather than risk actually getting out and meeting people. Identify a skill you don't have and find a class to take! You don't necessarily have to sign up for an extensive degree program - it could be a 15-week course at a Community College. It gets you out of the house, stretches your brain, and introduces you to a new circle of people. that's sometimes the most difficult part of looking for work! This is your opportunity to take up fly fishing, horseback riding, take your spouse to the Canadian Rockies, or build that canoe you've always dreamed of. Don't let this time slip by without having a little fun along the way. It will help to ease the stress of looking for work and who knows, you may even meet some people who can connect you with the job of your dreams! Since 1974, Laura Benjamin has helped hundreds of laid off workers, career changers, ex-military and early retirees cut their job search time in half! 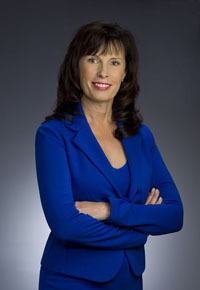 She speaks internationally on Careers, Management Development, and Small Business Building Strategies and her work is featured in national media, from radio and television to Remodeling Magazine, Fitness, and Managing Partner. The audiotape set, "Layoff First Aid" and her FREE newsletters are available on her website.